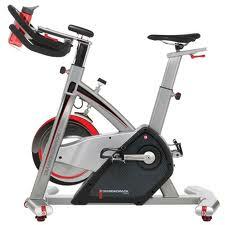 The Diamondback 910Ic Spin Bike/Indoor Cycle has been given a "HEAD OF THE CLASS" award from Fitness Professor Review! Diamondback Fitness brings the experience of training in a studio cycling class into the home with the launch of the 910Ic, the first indoor cycle to put computer-controlled resistance at your finger tips. The digital interface outputs 32 levels of resistance and 18 workout programs, including 12 presets and four heart-rate-controlled programs that emulate riding in real-world conditions. Feedback is delivered on an LCD display that accurately tracks time, distance, calories, heart rate, watts, speed and RPMs. Consistent with Diamondback Fitness commitment to quality and value, the 910Ic features top-grade components at a value price, including a 40lb. flywheel, heavy duty steel frame, a wireless heart-rate training feature and versatile adjustments for the seat and handlebars to dial in the most efficient riding position. Its an essential training tool for indoor studio cycling enthusiasts and cyclists looking for a bad weather alternative to outdoor road rides. User Weight Capacity	325 lbs.